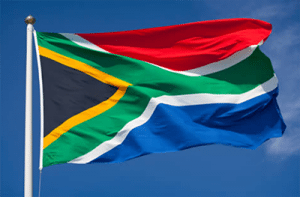 Despite many South African players turning to the Internet to play blackjack and other casino games for real money, they do so at their own risk, as South Africa has some of the strictest online gambling laws in the world. We take a look at the laws of online gambling in South Africa and what this means for online blackjack players. 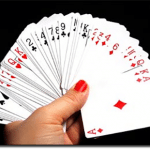 Is online blackjack legal in South Africa? All facets of gambling in South Africa are governed by the laws of the National Gambling Act 2004, which has undergone several changes over recent years to stay up to date with emerging technologies. 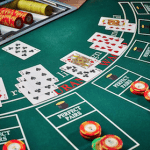 In 2004, the National Gambling Act first prohibited operators from offering interactive gambling services, as well as player from engaging in interactive (online) games. However, the restrictions only apply to casino games, bingo and poker, while online sports betting, bookmaking, horse racing and authorised lotteries are all completely legal, provided the operator has obtained a legal license from South Africa. An amendment to the National Gambling Act was introduced in 2008, aiming to legalise online gambling and regulate the market. It received heavy criticism from various political and community groups and was never passed. In 2010, a Northern Gauteng High Court ruling made it illegal for offshore online casinos to offer their services to South African players, despite their servers being located outside of the country. Even some interactive auction websites have been deemed to be forms of online gambling and were subsequently banned. Under South Africa’s gambling laws, casino sites, individual users, internet service providers and banks that process payments to gambling sites can be subject to prosecutions of up to R 10 million, 10 years imprisonment, or both. Any media channels advertising online gambling are also held accountable. Despite South Africa’s strict anti-online gambling laws, many players continue to turn to the Internet to try their luck at casino games, with many offshore casinos still offering services to South African players. As there have been no recorded prosecutions against players to date, we can only assume that some South African punters don’t take the laws all that seriously. Take heed that if you choose to play for real money online, you do so at your own risk and it’s up to you to be aware of the laws that apply to you. If you do choose to play online, make sure it is at a reputable and licensed offshore casino and use a VPN to provide yourself with an extra layer of security.